Latest Posts Polar King Announces that the Company’s Line of Walk-in Coolers and Freezers have Passed the Extensive Testing Required to Become Miami-Dade Approved. Polar King Announces that the Company’s Line of Walk-in Coolers and Freezers have Passed the Extensive Testing Required to Become Miami-Dade Approved. Polar King International, Inc. announces that the company’s line of walk-in coolers and walk-in freezers successfully passed the rigorous testing required to gain Miami-Dade County product control approval. This means all Polar King products are designed to comply with the high-velocity hurricane zone of the Florida building code. Miami-Dade approval allows acceptance of a product for use within these high-velocity hurricane zones. This approval further demonstrates the quality of the seamless construction methods used to manufacture Polar King walk-in units. Miami-Dade’s Product Approval System, which is viewed by many as the benchmark for code related building product approvals, is directly related to the structural wind resistance of buildings and building components. Miami-Dade County, with its location in one of Florida’s high-velocity hurricane zones, has the most stringent code requirements of the Florida Building Code. All products related to a structure’s building envelope require this approval in order to be used for construction within the county. The Miami-Dade Product Control Approval System establishes a set of standards, requirements, and testing of products used in construction. Test reports and results include uniform static air pressure test, large and small missile impact resistant test, cyclic load test, gravity load, and racking load test. 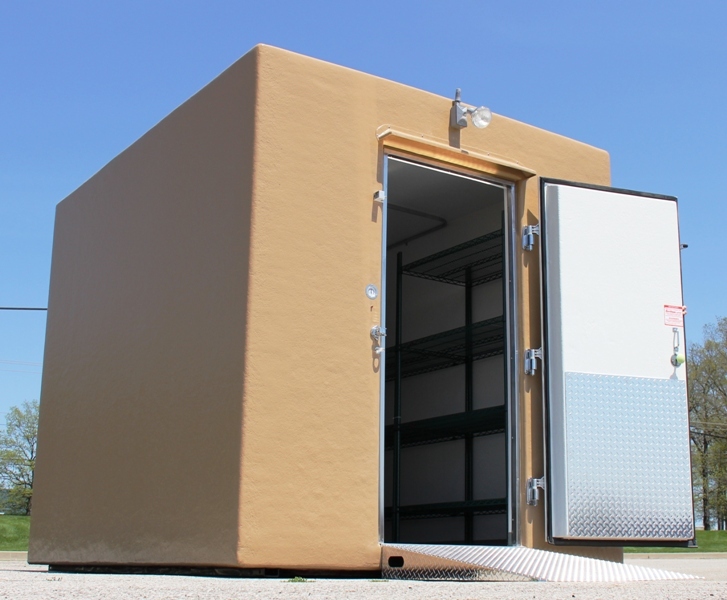 As the industry’s #1 manufacturer of seamless fiberglass outdoor walk-in coolers and walk-in freezers, Polar King units are designed to endure even the most rugged conditions and climates. All of our walk-in coolers and freezers are delivered fully assembled and require only a simple electrical connection to put them into operation. With a 100% seamless fiberglass design, Polar King offers the industry’s only one-piece, outdoor unit. To learn more about the fiberglass advantage, or for more information, call 888-647-8231 or visit www.polarking.com. If you would like specific information about our Miami-Dade Approval, contact us today!